Extra-aged Gouda, a Dutch masterpiece! The crowning glory of the art of Dutch cheese making. The special maturing conditions give Landana 1000 DAYS its full, rich flavor. 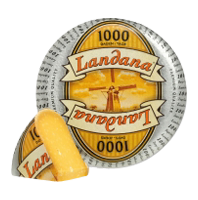 The optimal harmony of a specific temperature, a certain humidity and carefully tending the Gouda style cheese is the well-kept secret of Landana 1000 DAYS. 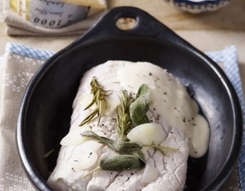 It is only under these ideal maturing conditions that the best quality can be guaranteed.